He and the church have helped congregants through drug addictions and gang violence, establishing a youth center and food pantry as part of the church’s mission, but they may have encountered a problem they cannot overcome: the power of eminent domain. Bishop Roy Lee Kossie has been preaching at Latter Day Deliverance Revival Church in Houston’s Fifth Ward for 50 years, starting his work in 1965 when the area had gained notoriety as one of the city’s most dangerous neighborhoods. At that time, the Fifth Ward became known as the “Bloody Nickel.” But, decades before the spur of its neighborhood violence, locals simply called it the “Nickel.” The neighborhood had served as a hub for minority-owned businesses and development during an era of redlining and de facto segregation. Congressman Mickey Leland and Congresswoman Barbara Jordan are products of the Fifth Ward, both attending Phillis Wheatley High School on Lyons Avenue, one of the nation’s largest black schools before desegregation. The neighborhood, once flourishing with the hustle-and-bustle of local businesses, began to change in the 60s, according to the Texas State Historical Association, when upwardly mobile residents moved out to seek broader opportunities that stemmed from integration. Some attribute the neighborhood’s economic and social fall to Highway 59’s exclusion of Lyons Avenue and Jensen Drive – two of the Fifth’s busiest streets at the time – as exits on the major roadway, according to Houston History Magazine. The area’s decline did not, however, scare Bishop Kossie away from his church on Lyons Avenue. The church worked to acquire property, including the lots of two neighboring nightclubs, for its ministry. The Houston Housing Authority (“HHA”) has made offers to purchase three of the church’s properties and has threatened to use eminent domain if those offers are not accepted, according to a lawsuit filed August 3 by Latter Day Deliverance Revival Church (“Latter Day”) and Christian Fellowship Missionary Baptist Church (“Christian Fellowship”). Liberty Institute is representing the churches and stated that the HHA was also seeking property owned by Christian Fellowship, a church that has been in the neighborhood for nearly 40 years. The two churches in Houston’s Fifth Ward assert that the HHA’s use of eminent domain for a redevelopment project infringes upon the churches’ right to practice religion freely as the entity is seeking to take an “undeveloped” plot that Latter Day currently uses for parking and for its outdoor ministry in addition to other properties owned by the churches. Members from Latter Day Deliverance Revival Church and Christian Fellowship Missionary Baptist Church join together in prayer. Photo courtesy of the Liberty Institute. The HHA was seeking a total of four parcels from the two churches, three from Latter Day and one from Christian Fellowship, according to the Houston Chronicle. Christian Fellowship resides on one of those parcels, and the HHA planned to demolish the church to build a library, according to a lawyer for the Liberty Institute quoted in the Houston Chronicle Aug. 4. The HHA initiated a redevelopment project in the Houston neighborhood in partnership with the Fifth Ward Community Redevelopment Corporation (“FWCRC”), an organization dedicated to revitalizing the historic Houston neighborhood through various development projects. The project, however, has come under public scrutiny since the lawsuit was filed. The HHA and the FWCRC altered their initial plan in response to the criticism, and their new plan would allow Pastor Quinton Smith to continue his 20-year career at Christian Fellowship. Despite this alteration, the HHA and the FWCRC still plan to acquire Latter Day’s property to build a private health clinic. “Although I applaud Bishop Kossie’s and his congregation’s impact on the quality of life in the Fifth Ward, I cannot provide him any comfort regarding our disagreement,” Gusnolley said. The court has granted the churches a temporary restraining order to keep the housing authority off their properties but has not yet decided on whether the potential HHA taking violates the Texas Religious Freedom Restoration Act. The HHA and the FWCRC may have noble intentions for the Fifth Ward as the FWCRC has a history of involvement in the community that includes the building of more than 300 homes in an effort to revitalize the Nickel. But, if we have learned anything since Kelo, it is that economic growth and development should not be cause enough to infringe upon someone’s constitutionally-protected property rights. Latter Day purchased its parcels of land with a vision in mind, and the HHA should not come between the church and that vision without having a compelling reason vested in the public interest to do so. Co-authored by Justin Hodge and Ayla Syed. If you have any questions about this blog, please feel free to contact Justin Hodge (jhodge@jmehlaw.com). Despite its recent funds, the company behind the contentious high-speed passenger rail line between Houston and Dallas may not succeed without the use of eminent domain – a power reserved for takings that serve the public interest. Texas Central, the company working on developing a high-speed passenger rail line between Houston and Dallas, announced the procurement of $75 million in funding for the project and the hiring of a new CEO last week. This funding will certainly help Texas Central take the next steps needed to develop the rail line, but the company’s efforts may be in vain if it cannot use eminent domain to secure the land needed for the project. Some have even said that the line cannot succeed without eminent domain. The company recently avoided roadblocks set in place by Texas legislatures, some of whom aimed to prevent the company from using eminent domain for the high-speed rail (read our blogs about Senate Bill 1601 here and here). Texas Central has consistently advertised that it can provide better deals for landowners than a governmental agency could and that the rail uses a fraction of the fuel used by commercial aircrafts, but the thought of a privately-owned company invoking the power of eminent domain for a potentially profitable venture has galvanized many Texans against the rail. Many have joined the efforts of Texans Against High-Speed Rail, a group organized around public opposition to the rail. “Our aim is to protect private property rights, maintain efficient modes of transportation, and prevent the wasteful use of taxpayer dollars or public subsidies for high-speed rail transportation,” the group stated in its mission statement (Click here to visit the group’s website). Texas Central’s newly-appointed CEO Tim Keith, a Dallas resident who has nearly 25 years of experience in large-scale real estate and infrastructure project development, recognizes this local opposition to the company’s project. “When it impacts communities and people’s land, it’s very personal,” Keith said to the Dallas Morning News, adding that he plans to better communicate the potential benefits of the project to the public. Texas Central has submitted its rail line to the Federal Railroad Administration and is awaiting the results of an environmental impact review of the project. In its most recent round of decisions, the Supreme Court ruled in favor of our favorite raisin farmers in Horne v. USDA and determined that the raisin reserve requirement mandated by the California Raisin Marketing Order did indeed constitute a taking under the Fifth Amendment (read our previous blog on Horne v. USDA here). This ruling is a welcome move in the right direction to better protect individual property rights. Chief Justice Roberts delivered the Court’s 8-1 opinion in which Justices Antonin Scalia, Anthony Kennedy, Clarence Thomas, and Samuel Alito concurred in full and Justice Stephen Breyer, joined by Justices Elena Kagan and Ruth Bader Ginsburg, concurred in part and dissented in part. Justice Sonia Sotomayor wrote a solo dissent. As with almost any government taking, the original property owner is entitled to just compensation for his or her property. The Supreme Court majority determined the amount initially assessed by the government as a fine for the Horne’s withholding their raisins from the reserve constituted the fair-market price for the Horne’s raisins. “The Government has already calculated the amount of just compensation in this case, when it fined the Hornes the fair market value of the raisins: $483,843.53,” Roberts wrote. “There is accordingly no need for a remand; the Hornes should simply be relieved of the obligation to pay the fine and associated civil penalty they were assessed when they resisted the Government’s effort to take their raisins. This case, in litigation for more than a decade, has gone on long enough” (citations omitted). This point of the ruling garnered a dissent in part by Breyer, who reasoned that a lower court should be the proper venue for determining compensation for the Hornes. In her dissent, Sotomayor reasoned that the marketing order does not constitute a per se taking and was, instead, a reasonable government regulation on partaking in the raisin market. Sotomayor also construed the marketing order as a regulatory taking rather than a total, per se taking because the Hornes held a residual interest in the reserve raisins. She reasoned they would receive a portion of the proceeds if the government sold those raisins and, therefore, had not lost all of their property rights to those raisins. Her reasoning did not prevail in this case, and the Supreme Court’s ruling in Horne v. USDA sets a precedent that will help better protect property owners from unjust takings. Marvin Horne, who has been entangled with this matter for more than a decade, said he was astounded by this victory, the LA Times reported. “It’s been 11 years, and a lot of water over the dam,” he said. The Texas Department of Texas (TxDOT) may soon expand the 200-mile route between San Antonio and Houston on I-10 by one lane in each direction, according to San Antonio Express-News. TxDOT has not yet identified funding for this expansion and still has to complete an environmental review of the project before it can finalize plans. Several road projects to improve mobility between large Texas cities – San Antonio, Austin, Dallas and Houston – have already been initiated in an effort to accommodate Texas’ population growth in recent years. Many of these projects may require the use of eminent domain to acquire the land needed for expansion, and landowners should pay attention to proposed projects near them. To read more about some of these projects, click here. A photo of the Texas Senate Chambers, where Justin Hodge and Luke Ellis testified on March 9, 2015. Johns Marrs Ellis & Hodge, LLP, partners Justin Hodge and Luke Ellis testified in front of the Texas Senate Committee on State Affairs on March 9, 2015, in favor of a bill that would better protect landowners in eminent domain proceedings and help ensure that the fear of legal fees would not prevent landowners from seeking just compensation for their property. Senate Bill 474, proposed by Senator Lois Kolkhorst, R — Brenham, would require those seeking to acquire property to reimburse landowners for their attorney’s fees if the award by the special commissioners exceeds the condemnor’s offer for the property prior to the proceedings by at least 10 percent. * The bill would also require reimbursement of attorney’s fees if the case moves beyond the special commissioners’ hearing to court and the award exceeds the condemnor’s offer prior to the proceeding by at least 10 percent. invited to testify in front of the Texas Senate Committee on State Affairs. Ellis opened the testimonies by describing a situation in which a landowner purchases a piece of land for $300,000. The landowner then builds a home on the land and spends $200,000 on construction, bringing the landowner’s total cost to $500,000. An entity wants to use that land for a project that would serve some public purpose, and that entity offers the landowner $300,000. The landowner, knowing the amount he or she has spent on the property, then seeks legal counsel from an attorney. The attorney fights the case for a period of one to four years, at the end of which a jury awards the landowner $500,000. Ellis stated that the landowner does not recover in full in this process because of the attorney’s fees and legal costs required to combat low offers in court, especially when the landowner has to pay for experts and appraisals to counter the condemnor’s experts and appraisals. Ellis then went on to read the language in both the 5th Amendment of the U.S. Constitution that requires condemning authorities to give landowners just compensation for their properties and Article 1, Section 17 of the Texas Constitution that requires adequate compensation. This graphic is not representative of every path a condemnation case can follow and does not in any way offer legal advice. This graphic simply presents a the number of paths a hypothetical case could follow in context of SB 474. The debate on SB 474 centers on whether the bill would have a fiscal impact on the government and increase the cost of condemnation. When presenting her bill, Senator Kolkhorst stated that the bill would not significantly increase costs to the government, and Ellis agreed with this in his testimony. Ellis said this bill would decrease litigation as it would incentivize condemning authorities to make a fair offer that landowners would want to accept initially. “Condemnors have absolutely no incentive to treat landowners fairly. They’re a business. There is no penalty to make low offers to start,” Ellis said of the current system, adding that condemning entities often make low offers to “wash away” those afraid of a legal battle. Ellis also described the abuse of power that often occurs in these legal battles as condemnors who can afford to run up legal costs and/or expert fees often do so to tire the landowner’s financial resources and ability to fight low offers. “We believe [SB 474] is the first and a very strong step in trying to balance the scale,” Ellis said. Hodge also testified and gave a personal testimony of his family’s experience in an eminent-domain proceeding. His family owned a ranch near the Bell-Williamson county line, and his grandfather had spent his lifetime drilling more than 70 water wells on that ranch looking for water to feed their livestock. Hodge’s grandfather passed away, and Hodge’s father found seven commercial-grade water wells on the property. Hodge’s family contracted with local communities to make use of those water wells until the State of Texas, through the Department of Transportation (“TxDOT”), decided to build a safety rest stop on the ranch in 2006. TxDOT did not move the location of the rest stop. Hodge’s family fought the state’s $350,000 offer for six years. The state did not include any compensation for the water underneath their property in its offer and argued that the water underneath the property did not belong to the landowners, a position that Hodge said ran contrary to nearly a century of case law in Texas. The Hodge family case went in front of a jury of six people in Bell County, who awarded the family $5.8 million as just compensation for their loss of the water and land. Senator Kolkhorst modeled the bill after similar bills in effect in other states in an effort to help stop this abuse. SB 474 is currently pending in the Texas Senate Committee on State Affairs. If passed as currently written, the bill would go in effect September of 2015. *In Texas, if a landowner and the condemning authority cannot agree to an amount for the property, a panel of three court-appointed special commissioners will determine an award for the property. If either party objects to the award, the case then proceeds to a court where a judge or jury determines the fair-market value of the property in question. If you want to hear Ellis and Hodge’s testimonies, please visit http://youtu.be/H9psHmXLexw. If you have any questions about SB 474, please feel free to contact Justin Hodge at jhodge@jmehlaw.com. The Texas Railroad Commission’s (RRC) new pipeline permitting rules that require oil companies to verify their common-carrier status went into effect last week, marking a significant move away from the previous rules that simply required companies to check a box to claim common-carrier status. The RRC has maintained that its T-4 permit only allows a company to operate a pipeline and does not automatically entrust the company with the power of eminent domain. The limit of this power, the RRC says, remains with the court as it always has. The new rules will require up-front proof of common-carrier status. Pipeline companies previously only offered proof that they carried unaffiliated third-party product if and when its common-carrier status was challenged. This rule change comes after the landmark 2012 case in which the Texas Supreme Court ruled that a pipeline company must do more than show its T-4 permit as proof of its common-carrier status. (Texas Rice Land Partners, Ltd. v. Denbury Green-Texas, LLC, 363 S.W.3d 192 (Tex. 2012)). If you have any questions about the new rules or anything related to eminent domain, please feel free to contact Justin Hodge (jhodge@jmehlaw.com). Is ‘Actual Progress’ Being Made? Eminent domain laws in Texas may receive a slight tweak if recently-filed Senate Bill 479 passes into legislation. Senator Charles Schwertner, R – Georgetown, authored the bill that could more narrowly define “actual progress,” a broad phrase that currently requires those who invoke the power of eminent domain to make “actual progress” toward the intended use of the condemned land within 10 years. After the 10-year period, the landowner can repurchase the land at the original price paid by the condemning entity. This may prove more difficult than necessary for the landowner as the law currently does not clearly define “actual progress,” and Schwertner hopes his bill will help remedy that ambiguity in an effort to better protect landowners in eminent domain cases. Application of a state and/or federal permit to develop the property or other properties related to the public use project. A big move by Texas legislators could potentially funnel $25 billion over the span of a decade to the State Highway Fund – the second headline-making highway funding plan proposed this year. Texas Senator Robert Nichols, R – Jacksonville, filed two pieces of legislation, Senate Bill 5 and its complementary constitutional amendment, Wednesday that could potentially move a portion of funds raised from new and used vehicle sales tax to the State Highway Fund. Senator Robert Nichols, R – Jacksonville. Photo courtesy of the Texas Tribune. Nichols serves as the chairman of the Senate Transportation Committee, and the bills were co-authored by Senator Jane Nelson, R – Flower Mound, the chairwoman of the Senate Finance Committee. If approved by the State Legislature, the legislation would appear on the November ballot for voter approval and follow a path to implementation similar to Proposition 1 (Read our post on Proposition 1 here). Additional highway funding would give TxDOT more leeway to expand and build upon current infrastructure and also allow it to finance new roadway projects. These projects often include condemnation proceedings to acquire land needed for expansion from current landowners. As Texas’ transportation infrastructure continues to expand, eminent domain will stay at the forefront of legal battles produced by new projects. *Post title modified from “Proud Mary,” a song made popular by Tina Turner. The Texas Department of Transportation (TxDOT) announced a list of potential projects last week that would utilize funds from the Texas Transportation Funding Amendment (also known as “Proposition 1”), which passed with 80% of the votes during the November elections. Proposition 1 is projected to funnel about $1.74 billion to TxDOT projects from oil and gas tax revenues, money that previously went solely to the state’s “Rainy Day Fund.” Half of these revenues will continue going toward the Rainy Day Fund, but the other half will now help finance road projects. TxDOT has allocated about $150 million of Proposition 1 funds to Austin, most of which will likely go toward expanding I-35, one of the nation’s most congested highways, by two lanes. TxDOT also earmarked $278 million for projects in Houston, and part of those funds could potentially help expand US-59 to a 6-lane highway. Texas, especially areas in Houston and Austin, has seen some of the highest rates of population growth in the nation in recent years, and this growth comes hand-and-hand with expansion. While Texan drivers may find some relief from rush-hour congestion in the near future, many of these projects may require the use of eminent domain to acquire property needed for expansion. TxDOT has not yet finalized its list of projects and will continue to accept comments from the public on the projects proposed last week. If you would like more information regarding these proposed projects, please feel free to contact Justin Hodge (jhodge@jmehlaw.com). As with all things that closely intertwine with politics and the economy, wind energy also has its pros and cons. 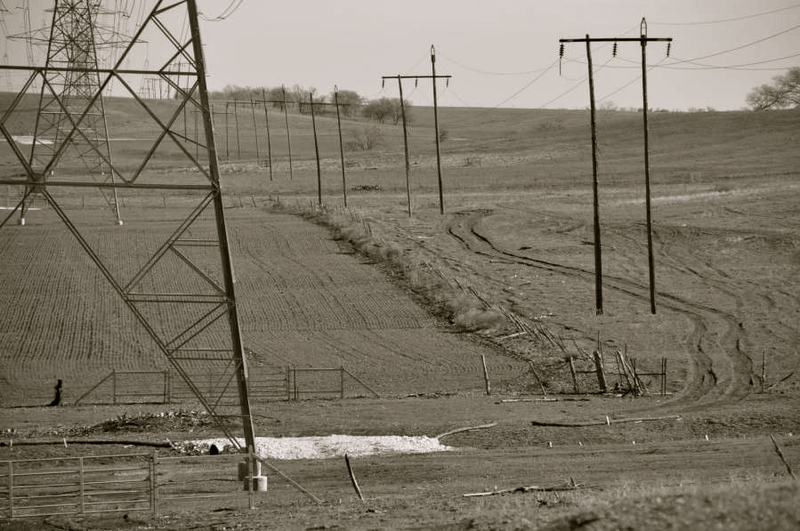 While some may defend it for its efficiency and its potential to sustain clean energy in the long run, others may point out how wind farms obliterate the beauty of American landscapes with their loud noises and endless strings of wire. One player we generally forget to think about is the landowner whose land is burdened. When wind farms are created, as when pipelines are laid, who’s pockets make the greatest profit? Borrowing from “East of Eden”, the lucky Adam Trask whose luscious land had that magical oil well or windy hill and the shrewd power or oil company that taxes the consumers for the goods produced. No one really thinks about the Sam Hamilton under whose land the power lines that generate the wind farm or the pipeline that transfers oil is laid. This landowner is left stuck in between a rock and a hard place when the only compensation for use of his land is the value of the installation of the required equipment. What about the potential fire hazards as a result of sparks or lightening? And don’t forget the environmental hazards posed by a leaking pipeline, rendering this landowner’s property value virtually diminished. Instead of debating over which form of energy is more cost effective or eco-friendly, it’s time we consider the effects of our policies on the unforgotten player in the game of energy production.